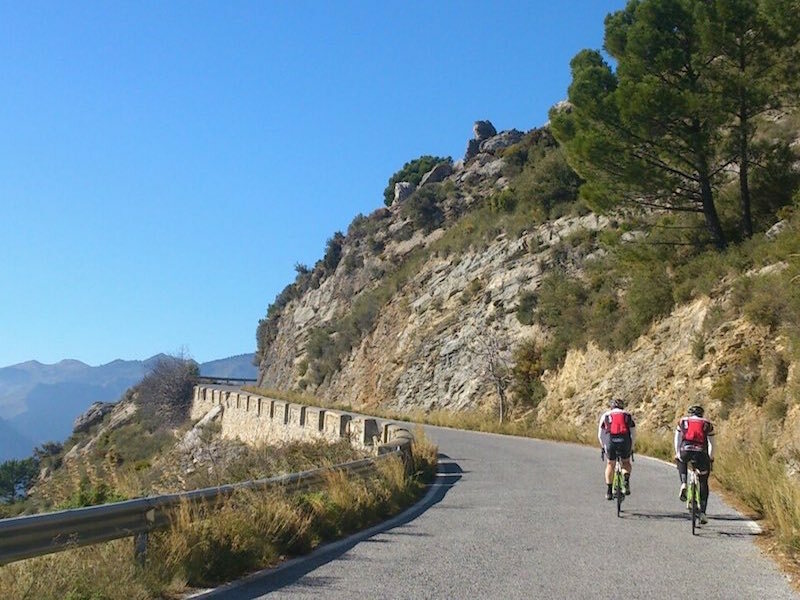 Fabulous cycling in La Alpujarra – one of the most beautiful parts of Spain. La Alpujarra, on the lower slopes of the Sierra Nevada, Andalucía, has a breathtaking variety of scenery. 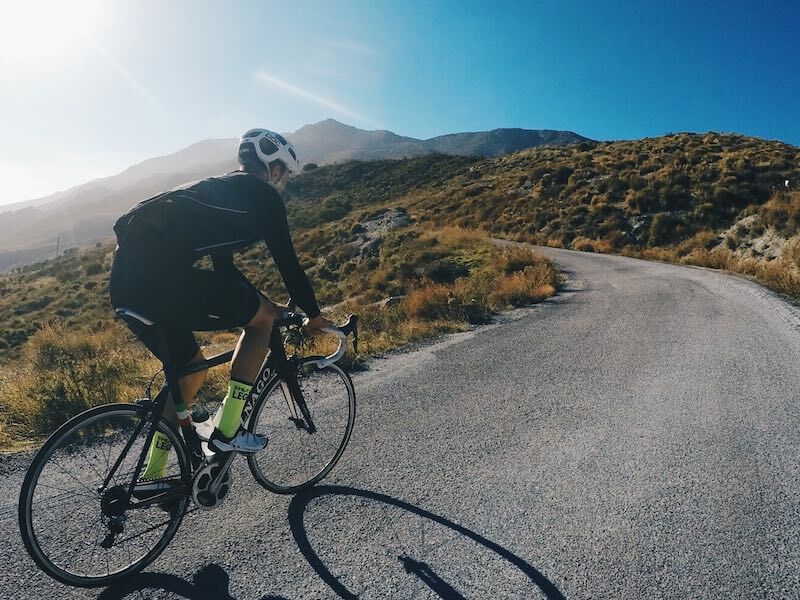 Enjoy quiet, traffic-free country roads, the purest mountain air – with the warm Andalucían sun on your back. Take in gorges, valleys and routes through beautiful Moorish villages or to the coast and back, before returning to the house to relax in your own private oasis. Bring your own bike or hire one locally. Almond Hill House consists of the main house and the Jasmine room annex (providing an extra en-suite bedroom, if required). 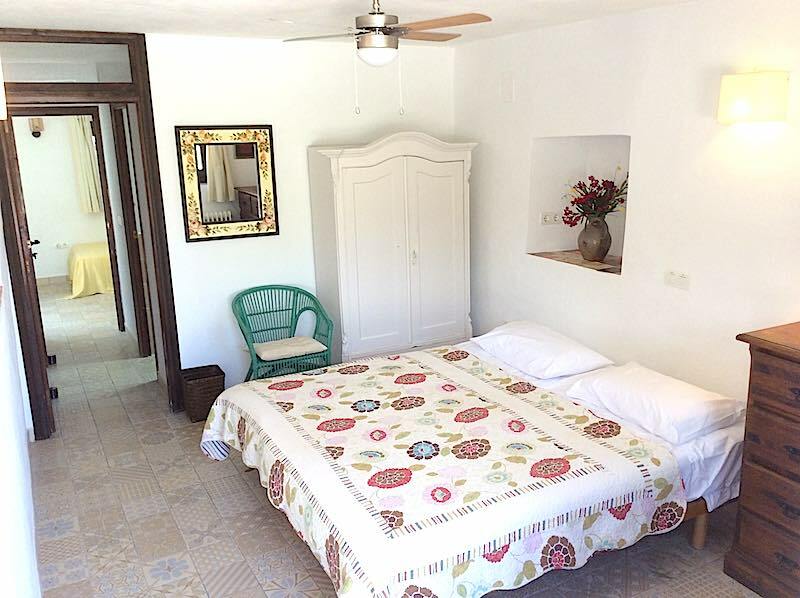 The ideal number of guests for a cycling break is between 6 and 10, depending on your preference for single-occupied or twin/double rooms. We suggest the Jasmine room annex is hired for guest numbers between 8 and 10 – add £200 (per week) to the prices below. See the house layout (opens new window). Minimum number of nights depends on time of year and the size of group. Prices below are for accommodation only, per week. Prices in Pounds Sterling £. Payment accepted in Euros (rate based on interbank exchange rate on date of booking). Please contact us using the form below or call on +34 627 599 331 for more information and availability. A 25% non-refundable booking deposit is required.